FAQ: How do I cite a source using a specific style? Citations are a means of giving credit where credit is due. Different subject disciplines call for citation information to be written in very specific formatting. 1. From the UW Libraries homepage, under 'Start Your Research,' click Citation Guides & Management. 2. Select the citation style of your choice. Tip: Don't see the style you want? 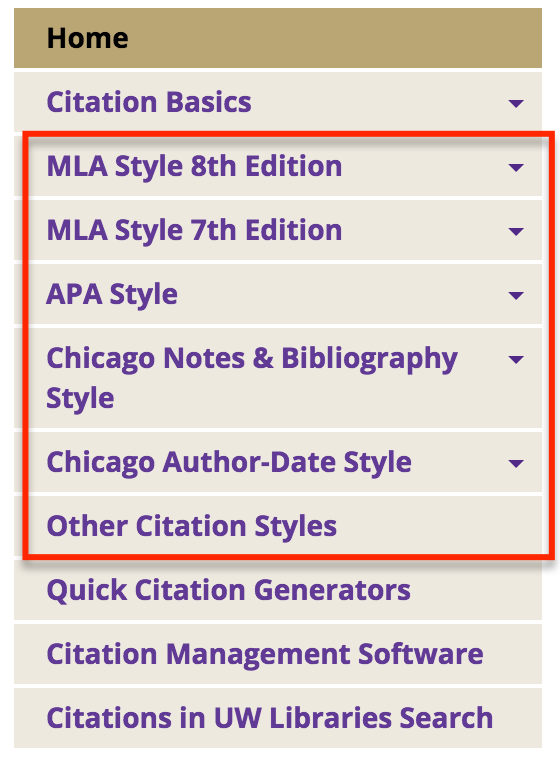 Click "Other Citation Styles" for more options. 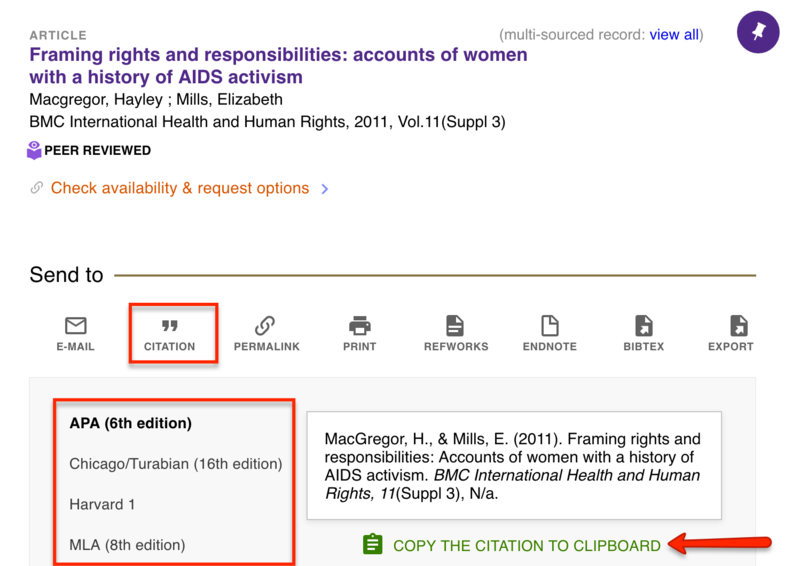 Alternatively, if your search provided an item you want to cite, you can click on the quotations icon or the more options icon. Clicking on the quotations or more options icon will provide a more detailed display and provide access to several citation management style choices. You can copy your selection from the on screen clipboard. << Previous: How do I limit searches to UW Libraries locations?